The first pattern of Ysolda's that I ever saw was also, coincidentally, the cover pattern from the first issue of Knitty I ever discovered - Arisaig from Knitty Fall 2005. I fell in love with this sweater - the delicate lace, the deep ribbing at the waist, the contrasting edging and the long ties...even more then the sweater, I loved the story of her knitting grandfather, and of her knitting this sweater with yarn that she inherited from his stash. The elements that characterise Ysolda's designs - quirky, unexpected, detailed, with a sense of history - have carried through her vast portfolio of self-published designs, as well as the patterns she's contributed to Knitty.com, Twist Collective, and numerous books. 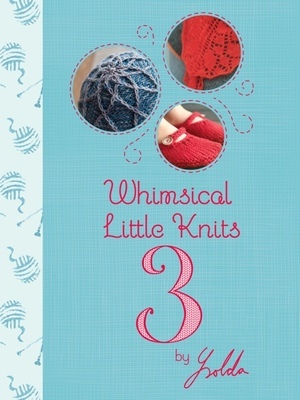 When we contacted Ysolda about being a sponsor of GLYC 2013, she enthusiastically agreed, and has sent us a signed copy of her self-published "Whimsical Little Knits 3". This collection of nine accessory patterns runs the gamut from socks to hats to shawls to mittens. There's even a toy robot to knit. 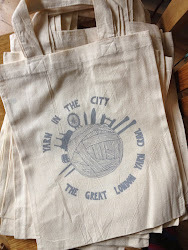 Many thanks to Ysolda and her team for their contribution to the GLYC after party prize pile! We can't wait to send all these lovelies home with the lucky winners! Oh this is amaze me.